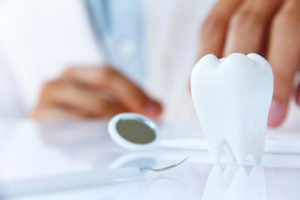 What is a cavity and what is the cause? Dental cavities or caries are holes in the two outer layers of a tooth called the enamel and the dentin layers. The enamel is the outermost white hard surface that you can easily see in a mirror. The dentin is the yellow layer just beneath enamel. Both layers serve to protect the living tooth pulp (blood vessels and nerves), which is usually located at the center of the tooth. Dental cavities are common, affecting over 90% of the population. The simple answer is bacteria on your teeth causes cavities. Bacteria form a film on your teeth called plaque. The acids in plaque remove minerals in your tooth’s hard, outer enamel. The acid erosion causes tiny holes to form in your tooth surface of enamel. Once some enamel is dissolved away, the bacteria and acid can reach your dentin, which is much softer and easier to invade. If the bacteria starts affecting the tooth’s pulp, it will become swollen and irritated, causing tooth pain. Sometimes, it will even become infected with swelling and/or abscesses. The toothache pain described above is the number one reason for a dentist office visit. How to avoid this cycle of ‘dissolving’ your teeth? Brush and Floss!! Fluoride is a mineral that occurs naturally in all water sources, including the oceans. Research has shown that fluoride not only reduces cavities in children and adults, but it also helps repair the early stages of tooth decay, even before the decay is visible. Fluoride is the best cavity fighter to help keep the whole family's teeth strong — no matter their ages. It's not just the CDC (Centers for Disease Control and Prevention) that upholds the merits of fluoride, though; according to the ADA (American Dental Association), more than 125 organizations around the world also recognize its safety and value. These organizations include the ADA, the American Medical Association (AMA) and the World Health Organization (WHO). 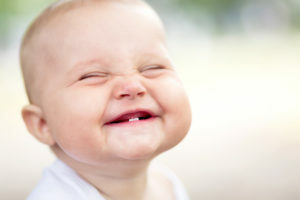 Baby teeth are very important to your child’s health and development. They help him or her chew, speak and smile. They also hold space in the jaws for permanent teeth that are growing under the gums. When a baby tooth is lost too early, the surrounding baby teeth can drift into the empty space and may cause the blockage of the corresponding adult tooth. Sometimes, the adult tooth can “get stuck” inside the jaw, blocking it from growing out naturally. 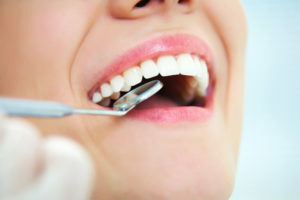 This may lead to more invasive procedures in the future and can make teeth crooked or crowded. That’s why starting infants off with good oral care can help protect their teeth for decades to come. A dental sealant is a thin, plastic coating painted on the chewing surfaces of teeth, usually the back teeth to prevent tooth decay. The sealant bonds into the depressions and grooves of the teeth, forming a protective shield over the enamel of the tooth. 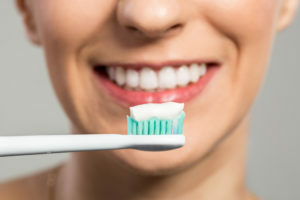 Although brushing and flossing can remove food particles and plaque from most of your tooth surfaces, these techniques may not be able to reach into all the small nooks and crannies of the back teeth. Sealants protect these vulnerable areas from tooth decay by ‘sealing out’ plaque and food. Because of the likelihood of developing decay in the deep grooves of baby teeth, premolars, and molars, children and teenagers are always good candidates for sealants. Adults who have teeth with deep grooves in their molars can also benefit greatly from sealants. Don’t hesitate to contact us to see if you are a good candidate for dental sealants. 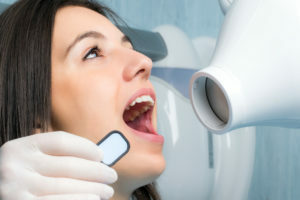 How safe are dental x rays and the radiation they expose us to? 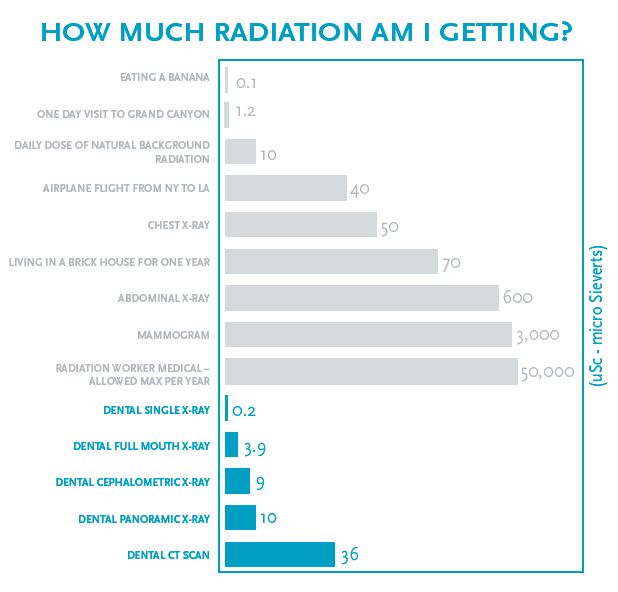 Dental x-rays are one of the lowest radiation doses that have been studied. A routine exam which includes 4 bitewings is about 0.004 mSv (millisievert), which is usually less than half a day of natural background radiation. It is also about the same amount of radiation exposure from a short airplane flight (~1-2 hrs). Proper shielding, including a body apron and collar, is also common, which makes the potential risk even lower. Please see the chart to compare common everyday radiation exposures. Is Whitening your teeth harmful? There has been over a decade of research into bleaching/whitening teeth and it has been proven to be both safe and effective. 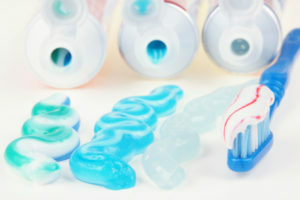 Depending on the bleach concentrations used in the treatment, there may or may not be tooth sensitivity. 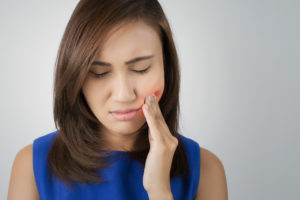 Sensitivity temporarily occurs after whitening procedures, particularly when eating hot or cold foods, but usually disappears after within 48-72 hours of stopping treatment. What kind of toothpaste should we use? 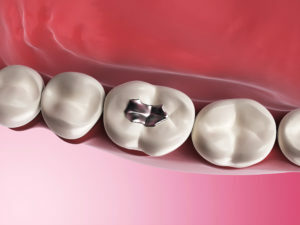 Millions of people have silver amalgam fillings. 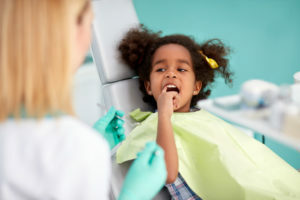 Many studies on the safety of the amalgam fillings have been done and, in 2009, the FDA had concluded that amalgam fillings are safe for adults and children ages 6 and above. The reason for controversy is that dental amalgam contains elemental mercury. it is released in low levels in the form of vapor, which can be inhaled by the lungs. High levels of exposure are associated with adverse effects in the brain and kidneys. Despite all this, due to the minimal levels of mercury vapor associated with dental silver amalgam fillings, clinical studies have found no link between these types of restorations and health problems. More definitive studies are still underway. Silver Diamine Fluoride (SDF) is an FDA-approved bactericidal liquid that can be used to arrest active carious lesions and prevent cavity progression. However, treating teeth with SDF does not eliminate the need for dental restorations, as they are still necessary for function and esthetics. Please see my blog post for more information. Is dental work safe during pregnancy? It is normal to have questions during this exciting transition. The patient’s hormone levels during pregnancy will fluctuate and can cause gingival swelling, bleeding, and increased irritation. Due to this and multiple other factors, dental cleanings and bi-annual exams during pregnancy are not only safe, but are strongly recommended. Preventative dental visits are essential to avoid any type of long-term inflammation including gum disease, which has been linked to preterm birth. If dental work, such as cavity fillings of crowns, is done during pregnancy, the second trimester is ideal. The safest course of action would be to postpone all elective dental treatment until after birth. If it is an emergency, please consult your dentist before continuing with treatment. We look forward to seeing you and your little one (in or out of the womb) very soon! We are happy to answer any oral health-related questions.